The U.S. Census population schedule for Lodi, New Jersey, in 1920. Individuals are identified by name, titles and terms, gender, age, marital status, race, relationship to head of household, birthplace, birth year, the last place of residence, and occupation. 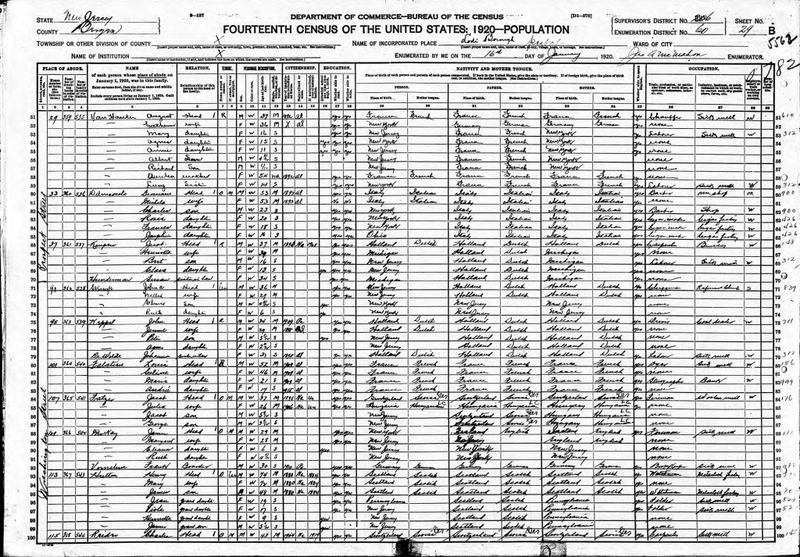 Digital reproduction of original census record by James A. McMahon, January 16, 1920. https://familysearch.org/ark:/61903/1:1:M4P2-TPV. Originally created and published by the Bureau of the Census. 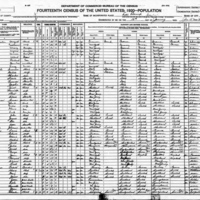 McMahon, James A.. “Fourteenth Census Population Schedule for Lodi, New Jersey.” RICHES of Central Florida accessed April 23, 2019, https://richesmi.cah.ucf.edu/omeka/items/show/6986.